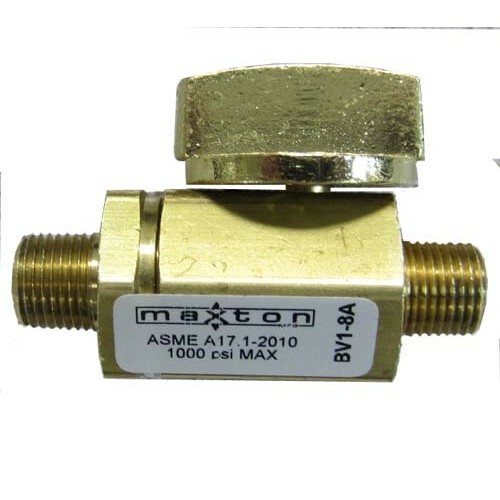 The Maxton Hydraulic Shut Off 1/8” Ball Valve (Male to Male Thread) has been tested specifically for hydraulic elevator ball valve applications. This Hex Bar-Stock Brass design features a blow out proof stem and a metal retainer seal. 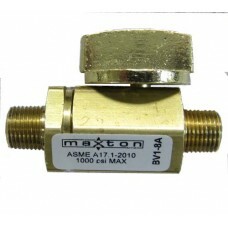 The Maxton Hydraulic Shut Off Ball Valve has a maximum operating pressure of 1000 PSI (55 bar) and complies with ASME A17.1/CSA B44.